SS11-A36 is SAKIA developed as analog explosion proof PTZ camera, which is built into auto focus 700TVL 36X zoom camera. The Camera housing is made of stainless steel 304 or 316L material and IP68 watherproof rated, special for hazardous area with explosive gas, oil, chemicals and powders. SS11-A36 is designed as an analog explosion proof camera with wiper system,which can apply for hazardous area, like gas zone 1, gas zone 2, dust zone 21, and dust zone 22. 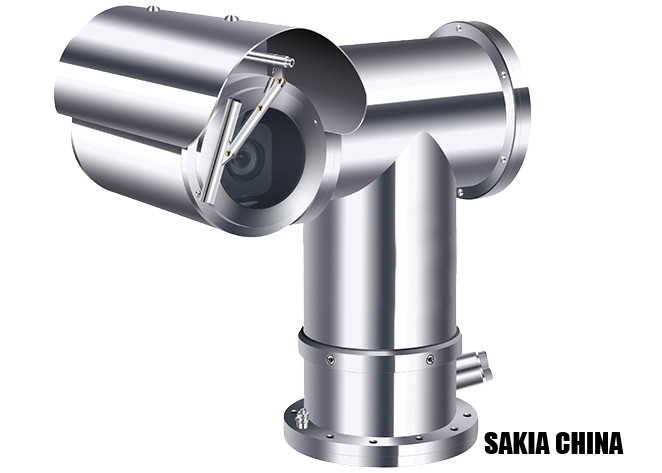 It allows for 360 degree continuous pan rotation and +90 degree to -90 degree tilt camera operations. SS11-A36 explosion proof pan&tilt housing is IP68 rated, and its housing material can be made of stainless steel 304 or 316L. The housing prevents any inside sparks or explosions from escapingand igniting vapors, gases, dust for fibers in the surrouding air. SS11-A36 is ready to use camera with 700TVL, 36X auto focus zoom camera. SS11-A36 series PTZ explosion proof camera has wiper systems for heavy polluted area. It can be equipped with washing tanker system to get a clearly surveillance video. SS11-A36 power input can be AC85-265V or AC24V. Its power kit can also be upgraded as filter power kit, which has good performance of surge protection. SH11-A36 can also be equipped with heater and cooling kit, which can resist temperature range from -50 to +65 °C. 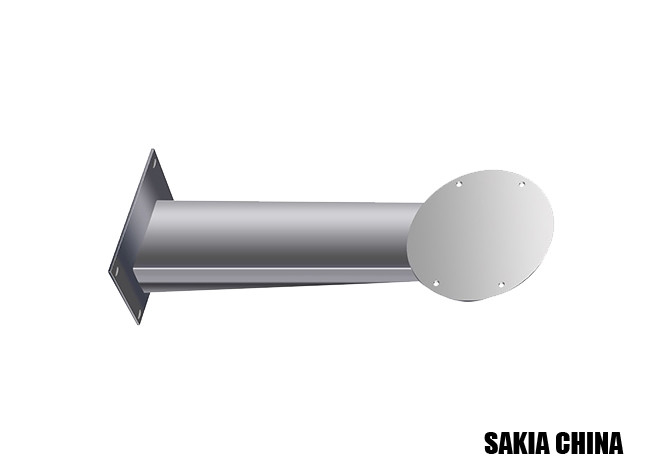 The thermostatically controlled heater starts on <10°C. The cooling kit starts on > 40°C. the lower temperature version is more suitable for north countries with cold winter. Auto tracking explosion proof PTZ camera with wiper system suitable for industry aggressive area, such as off shore& onshore drilling rigs, marine vessel, oil refinery, gas plants, fueling station, paint & parnish manufacturing plants, grain processing industries, fertilizer plants, hospital operating room,wood processing zone,sugar industry,metal surface polishing, especially aluminite powder.